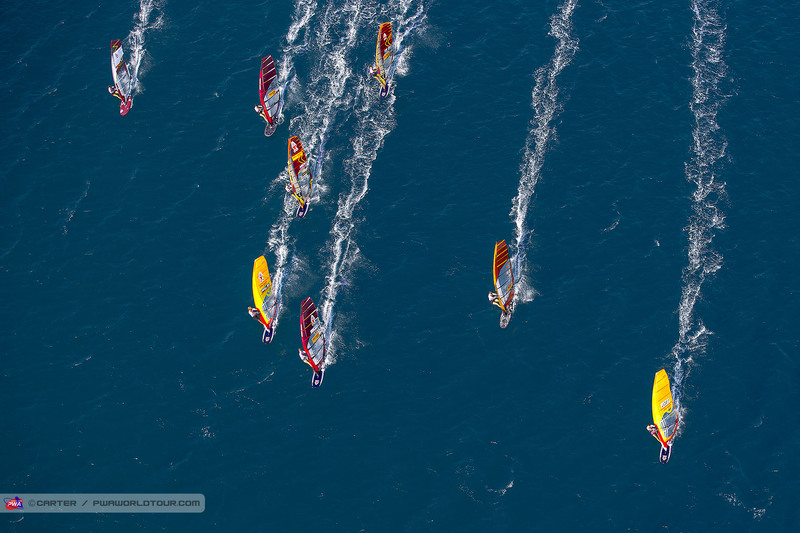 Update from the PWA World Cup in slalom! 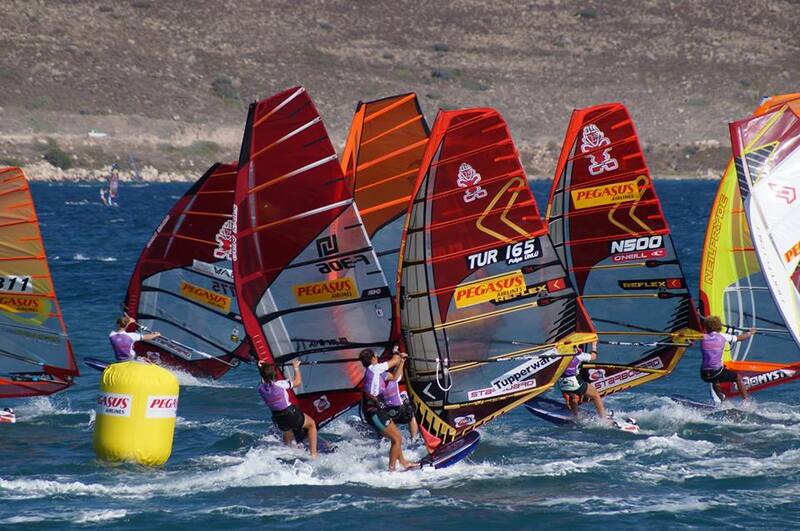 After a great result getting 2nd in the PWA World Cup in freestyle last month, I wanted another challenge. 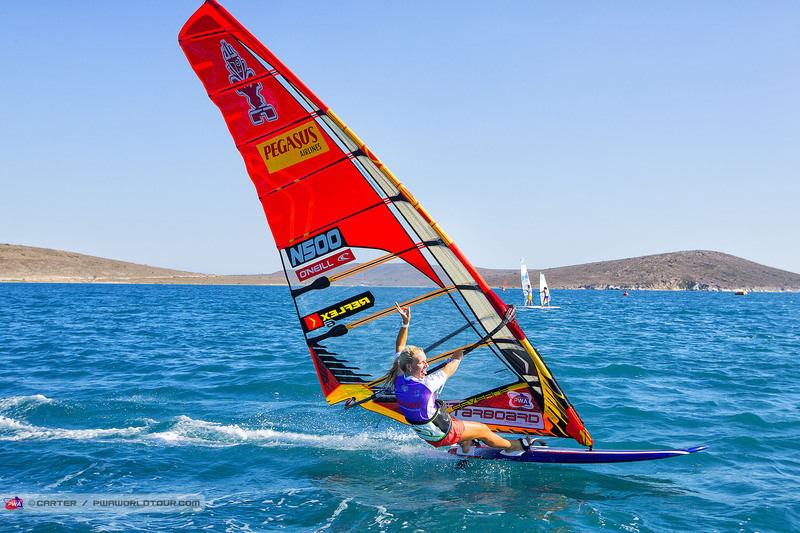 I decided to fly to Alacati in Turkey to give the slalom discipline a try. I’ve never went to a competition with such a bad preparation before. In my life I’ve been sailing slalom twelve times. Trying to get used to cambers and gybes instead of spinning around shaka’s and flaka’s is a big difference. In freestyle you never do a gybe, but in slalom it’s only about speed, gybes and some tactical skills. Five days before my flight, all my slalom gear arrived, just in time to go with me to Alacati. Packing this big gear was a challenge, as all my bags were too heavy according to the rules. But it worked! Arriving in beautiful Alacati for the first time was nice. It’s a paradise for windsurfing and a very nice city. With 31 girls competing I knew it would be a battle on the water just to go through to the semi final to sail a winner’s or loser’s final. In total we sailed 4 eliminations. I went through the first round in all these eliminations and even made it into one winner’s final and won one loser’s final! Very happy about that! Being able to pass people that I look up to in slalom and be a bit faster in some heats gave me a big motivation to start to train more slalom. My biggest challenge was gybing around the marks with 8 people at the same time. Not one gybe is the same. You have to make sure you don’t get sandwiched between two or more sailors, and try to keep your speed as much as possible. I realized that gybing alone out on the ocean is a different story than gybing in a heat. My big fear during this competition was to cross the start line too early and get disqualified, but luckily it never happened! It’s just so boring to miss out because of that, but at the same time you want to be right at the time to get a good start, which seems to be the key to win in slalom. We sailed four eliminations and got one discard, so overall I ended up on 12th position in this event out of 31 girls! Can not be anything else than happy about that, having 8th as the best result! 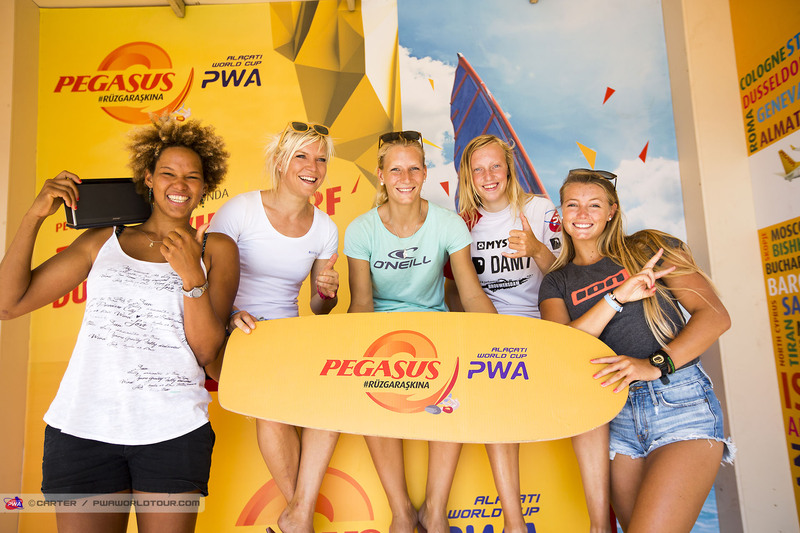 Congrats to Sarah Offringa for winning the event with great sailing the last days! Very impressive! Congrats to rest of the girls for great action on the water with a high competition level. A massive thanks to Steve Allen for all the help tuning my gear perfect and all the advice’s for racing. Thanks to Miriam for bringing some of my sails back home too! Hope to be back next year! Time for more slalom training.